A version of this article appears in Vice with the headline: Kurt Cobain's Paintings are Going on Show in Seattle. 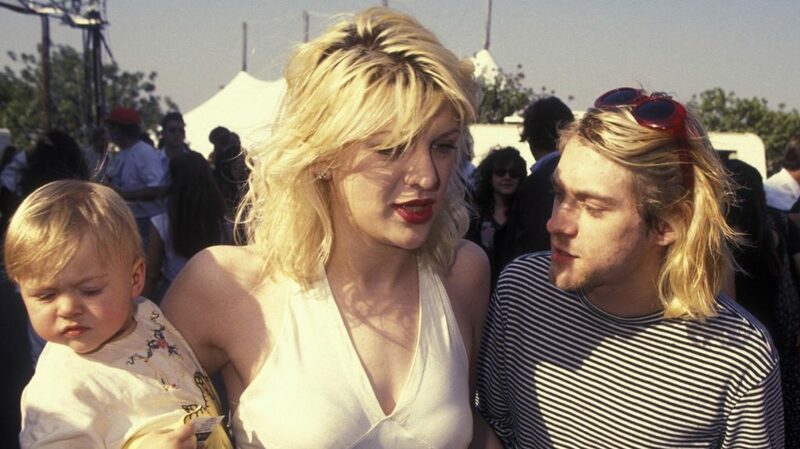 While this is Kurt’s first exhibition, the grunge god’s art chops have long been verified. One of the two works going on show in August is the original painting that was used for the cover of Nirvana’s 1992 B-side album Incesticide. The Times compares Cobain’s style to the death-obsessed Norwegian expressionist painter Edvard Munch, who is best known for “The Scream.” There are strong Edvardian vibes on the Incesticide cover, which depicts a poppy-picking skeleton being pulled by a broken baby doll. Frances plays with similarly macabre themes in her own art. The documentary Montage of Heck — executive produced by Frances — also made good use of Kurt’s personal art. Courtney teamed up with United Talent Agency to organize the new show. It marks the first time that UTA has participated in an art fair, and they’re not stopping with Seattle. UTA director Jonathan Roth said he’s planning to “create a touring exhibition that really tells the story of who Kurt was through artworks, personal artifacts and memorabilia, sort of like what the Rolling Stones did in London.” It makes sense that the practice run is taking place in the home state of Sub Pop Records. As a longtime resident of Seattle, Kurt became pretty much synonymous with the city.